Habitat - Sandills, flatwoods, open hammocks. 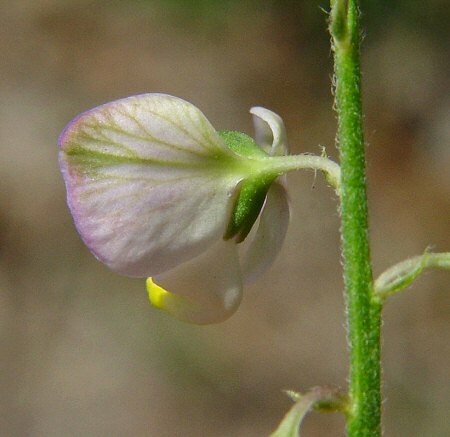 Other information - This showy little species can be found in the southern half of Alabama. 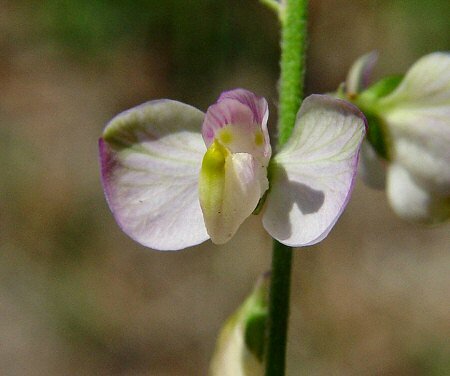 The plant can be identified by its pubescent upper stems, alternate leaves, and big pinkish-purple flowers. 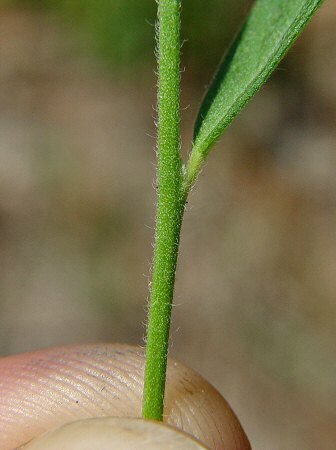 The corolla portion of the flower has no fringe. 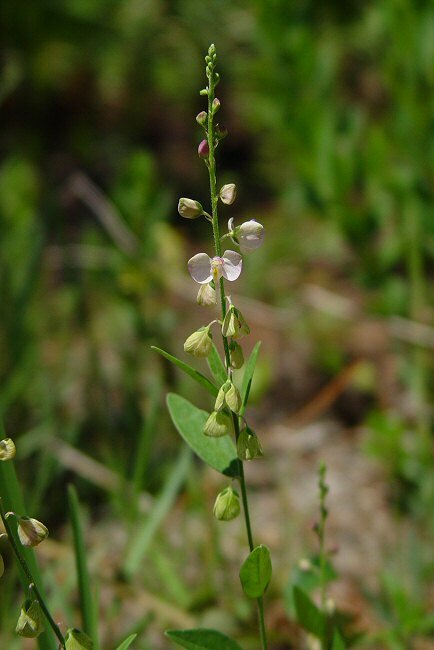 The genus name Polygala derives from the Greek "poly" meaning "much" or "many" and "gala" meaning "milk". This name was given by Dioscorides to a low shrub which was believed to improve lactation. The species epithet derives from the Latin "grand (i)" meaning "large" or "great" and "flor (a)" meaning "flower" beacause of the large flowers of this species. Photographs taken at the Bon Secour National Wildlife Refuge, Baldwin County, AL., 6-18-04.